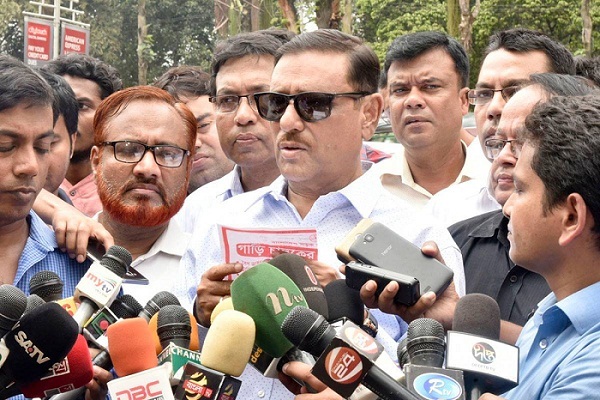 Mentioning that Awami League does not believe in extrajudicial killings, its General Secretary Obaidul Quader on Thursday said deaths of drug traders in gunfights with law enforcers cannot be called extrajudicial killings. The minister came up with this observation while talking to reporters after attending a programme at Manik Mia Avenue to create awareness about traffic rules. “When law enforcement agencies go to arrest drug dealers, they open fire on them which lead to gunfights. This encounter can’t be called extrajudicial killing,” Quader told. He dismissed BNP’s claim that the government is spreading panic through the gunfights ahead of the national election, UNB reports.